The ZQN flight I get. Maybe communication could have been better but airline can't be held accountable for weather conditions. But, consumers shouldn't have to rely on goodwill- laws should protect them. I was flying from NTL - CNS via BNE. on QF. My flight to BNE was cancelled and I was put on JQ which meant I missed my flight to CNS and had a 7 hours layover in BNE until the next flight. Now I got to hang out in the lounge due to status. Notwithstanding that there should be laws to compensate the consumer . Without regulations airlines can do what they want. Being a domestic flight, they are covered under NZ consumer law. Could always be better but yes in general I think so. Customers are always prompted to purchase travel insurance when booking for things like weather etc. One thing that catches a lot of people out though is that a lot of annual insurance policies don’t cover domestic travel except as part of an international journey. Ditto for credit card insurance. I’d like to see that changed. With regard to the US piece, I don't think we actually see that issue here or in Australia so worthless to anyone. The congested and horrifically dated airports in the US who often get those snow storms in winter can justify the rule. But it's a non event here. The delay and cancellation rules. It would be nice to see so QF/NZ/VA/3C etc all having to play by the same guidelines. My only concern is how do we ensure safety remains paramount and airfares remain at a affordable level for all New Zealanders? The ZQN flight would not be covered under either law but let's assume it was, 1,025km according to gcmap, so compensation is €250, let's make that $400 with a full flight of 171 passengers, that's $68,400. We know the airlines will look to recover those costs, I just hope no one tries avoiding them. If someone wants to give you money, it'd be rude to say no. Multiple sources say paperwork for the Air NZ flight 289, which returned to Auckland after several hours in the air included reference to Taiwan which China took to be an acknowledgement that the island was independent. There was lots of talk about US carriers removing Taiwan as a country from all documentation, so perhaps this has some truth behind it? the reporting in the article doesnt go on to specifically clear up what was the cause, to me anyway. Given NZ's recent act of compensating passengers for an excessively turbulent flight from CHC to IVC, have they set a precedent that passengers now expect weather-related compensation? Also, wouldn't it have just been easier to put the pax on a bus to Queenstown? NZ did this for me a few years ago when a "weatherbomb" hit the North Island. I was on WLG-ROT - cancelled. So they flew us to Auckland plopped us on a bus for 4 hours. It wasn't great, but it was the best solution. This will sound rude but it's not directed towards you. If people want to associate the compensation from the turbulent flight to other weather events then I would suggest they've missed the point of that compensation. The compensation was for being flown in conditions which would have caused unnecessary stress and anxiety and it also an acknowledgement from the airline that they should not have flown in these conditions. It wasn't for the inconvenience caused by the weather. ZQN is an example of how it should have ended up. Cancelled or diverted. Re the Bus thing, it's 6-7 hour drive, maybe longer in a bus with mandatory rest breaks. Also, let's assume there are 155 passengers, what if all you can source is 30-50 seaters... that's 4 bus loads. What's the ETA on the buses to the terminal given they'll also need drivers with hours remaining on their logbook for the day or even overnight the drivers in ZQN. 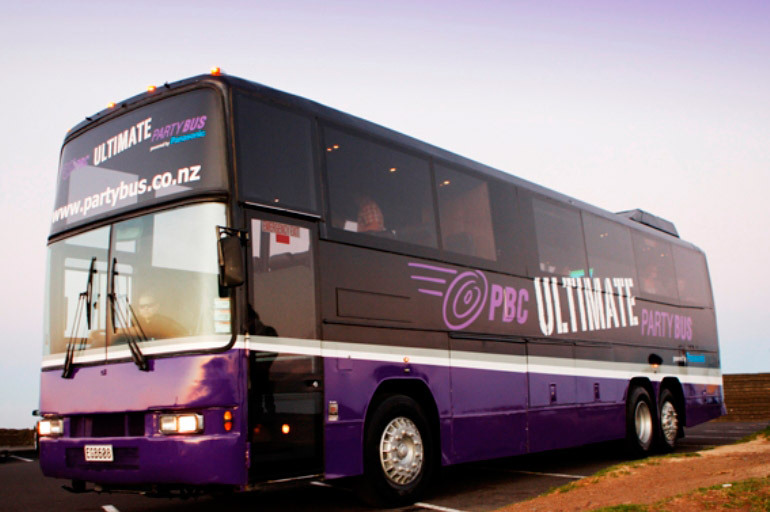 Would you want to put on a bus AKL-NPL? Like I said yesterday, everyone was also onbaord. So if you go down this path it also meant waiting for 1.5hours for a gate for an option not everyone wanted. Others should have been back in AKL by then. I'm only supposing people MAY have heard about it and they MAY have thought it's a thing that NZ does now. Even if so, you really expect Joe Public to understand the nuances of weather related compensation? The CHC-IVC one was weird anyway, as it suggests the airline is liable for inclement weather. And actually it was mentioned earlier that ZQN is often weather affected. I'm surprised then that there isn't a pretty well rehearsed contingency in place. Personally, yeah, I'd rather the bus option. One flight delay usually leads to more and more, with a lot of uncertainty. At least on a bus I'd be making progress and have a sense that I was gonna make it. What's weird is why didn't they divert to Dunedin instead? 2.5 hours drive and all pax were destined for ZQN anyway. Perhaps that's the better contingency. Not sure what is going on, but there are repeated announcements in the Auckland domestic terminal about a security problem and screening being on hold. Edit: security screening has started again, so can’t have been a major. Hong Kong Airlines in recent inventory update adjusted Hong Kong – Auckland route, as the airline converted this route from year-round to seasonal service. Reservation for travel is closed from 22MAY19 to 26OCT19 (HKG departure). You may very well be right. People have been using that C word for a while now. Unfortunately, us Kiwi's aren't exempt from the; if you inconvenience me then I expect to be compensated mentality. There are blueprint procedures for what to do in a disrupt, controllable, uncontrollable etc. There are also customer service standards across the airline which weren't met here but it outlines the type of buses used, when and how long a bus should travel for without stopping. It's pretty detailed. I'd also annoy you, I would rather get airborne and get me home, I couldn't think of anything worse than 7 hours on a flippin bus. My phone would die, I'd need to pee and couldn't. Last edited by NZ6 on Tue Feb 12, 2019 5:01 am, edited 1 time in total. It must be close to a dozen times this has happened now... No idea what happened here but I know for one, a passenger was able to walk into the 'secure' area by entering the exit doors. How can this happen? Try more like 3.5. 4 in a bus. And again, the time to get hold of 4-5 buses + drivers, and get them to the airport. IVC might’ve been a better option, but not sure if they have the gear to offload bags from an A320 yet. Having been in the bus game until recently, and been on the receiving end of the "can you get us buses for 170 people to Queenstown please, and how soon can you get them here" phone calls, I would honestly rather fly somewhere else and wait in an airport or get sent to home/hotel. For a CHC-ZQN transfer it will be an overnight job for the driver as they'll run out of hours before they can get back to CHC, so it's usually a driver on a day off rather than someone already at work, and it takes at bare minimum 1-1.5hrs to get a bus to the airport to start loading (bare minimum is 1hr - even if you get lucky and instantly find a willing victim, they'd still need half an hour or more to get ready and get into work, and even if you get someone else to prep the coach to send it the minute the driver turns up, it's still a 25 min drive to the airport for the company I worked at.) Then CHC-ZQN is about a 7-hr drive including toilet stops and driver's compulsory half-hour break (can't legally drive for more than 5.5hrs in one stint) - longer with a driver that's not well-versed on the CHC-ZQN flight disruption transfer. So all up you'd be lucky to get to ZQN 10 hours after you're meant to be there, which generally means getting there at night instead of day, tired and hungry with a dead phone. Not for me. Either send me home, send me to a hotel overnight, or at least give me a rental car to drive myself CHC-ZQN - then at least I can do toilet stops and meal stops whenever I feel like it. PS: I believe it is now Air NZ policy not to send pax on buses if it means they will arrive at the destination after midnight? The CHC-ZQN transfers I've handled were almost inevitably JQ/VA. PPS: I'll never forget the mass groan I got when I drove my first flight disruption job, CHC-DUD, when I gave the departure spiel and told them the journey time would be approx 6 hrs. We were once threatened with a bus replacement from CHC-DUD due to various wind related delays. It was just before Christmas so I'm guessing not a lot of spare capacity to handle all the cancellations. Thankfully, the bus capacity was less than the ATR it replaced, and handily my wife was seven months pregnant, so NZ decided it would be better to put us (plus another family with four children) in a nearby hotel. We were all on put on the first flight out the next morning and still made it in time to get to the farmers' market, where we met with one of the bus pax who was very weary-eyed and did not enjoy the five hour bus trip (we'd met as fellow delayed/strandee pax at WLG). While the airline contract might consider their obligation fulfilled, I believe that by paying lots more than Intercity charges that I've purchased a speedier journey (and one with a toilet on-board). I certainly would have been very grumpy had I been on that bus. I can't recall the details, someone else will. The NSN-CHC "bus" which got stuck halfway a few years back. Passengers ended up spending the night in what can only be described as a van... something similar to this anyway. I'm sure someone will chip in and clarify. Wellington Airport's new hotel opened today. Yeah buses aren't perfect. Except, you probably never would have heard about this if buses were used, pax wouldn't have been left with further expenses and arriving the next day. The estimated timeframe given above from DUD is still substantially better than what pax ended up with. Again, why isn't DUD the alt airport option for ZQN? Hotel capacity? Proximity to city? Lack of... buses? NZ got me and about 70 other passengers to our destination in the past - 11 hours late, via bus. They can do it again. Ansett used to do it from IVC to DUD or DUD to CHC. Both were better than being left to scramble for god knows what accom at the last minute just ro get up 4 hours later to be back at the airport. Hard? Sure. Expensive? Probably. Better than flying back to the other end of the country? Yeah. Clearly the pax mentioned felt aggrieved enough to make a fuss about it. Give airlines any excuse to play the "weather" card, and customer service automatically reverts to the lowest common denominator. "Queue is a mile long with just one customer service agent? We can't be held responsible for the weather, sir! Be patient." All the power lies with the airline in these circumstances and they typically act in their own interests first and the passengers' second. It should be different, and NZ is no better or worse than any in my experience. Both were better than being left to scramble for god knows what accom at the last minute just ro get up 4 hours later to be back at the airport. If Travelliance (the airline disruption agency) was engaged - the same agency that arranges bus replacements - then pax wouldn't be left scrambling for accommodation. I've done a few late night diversions where we did bus transfers taking pax to hotels. In fact, I've just read the article for details, and the pax were in fact taken to Holiday Inn - except the Auckland residents were apparently given the short end of the stick. Being a 2.20pm flight that was diverted (arriving in Chch at 5pm), even if they got enough buses, the buses wouldn't have got them into Queenstown until 1-2am at the earliest, and I doubt that same aggrieved passenger would've been any happier to arrive in ZQN at 2am hungry, with a booking at a motel that isn't staffed overnight (so she can't check in and is left out in the cold) - the airline will have fulfilled their obligation to get her to ZQN, ditto the bus company (you'll be surprised how often people expect the bus driver to find accommodation for them), and she would've been worse off. Also I'm particularly unimpressed with the misleading statement in the article "The plane then returned to Auckland 5 hours later." - FR24 data shows the plane arriving at 5.10pm in Chch and departing by 6pm. Yes it arrived back in Auckland 5 hours after they originally departed, but "returned to Auckland 5 hours later" implies a significant ground delay in CHC - could've at least said "arrived back in Auckland 5 hours later". Not defending how this particular diversion was handled for Auckland residents, but I do wonder if they would've had the option to go to the hotel with the rest of the pax - because as soon as you opt to go home instead there's no Travelliance for you, and Travelliance are the ones arranging accommodation, bus transfers and issuing taxi vouchers. I can see that there's a gap in the system where Auckland residents diverted to Auckland can fall through and be out of pocket if they didn't have travel insurance, and I think that warrants more discussion, but most of the article seems to be Air NZ bashing with what I can only frankly (and insensitively) describe as "middle-aged white people complaining about things." I wonder what this does for future renewal of NZ/CX JV Should HX not return? It was approved on the basis that a third carrier on the route seemed unlikely. How would HX have done without NZ/CX JV? EDIT: Looked for NOTAMs on the Airways IFIS system, there's at least a couple describing ATC outages affecting the Raglan sector (that area the flights are avoiding) and also an outage at Napier (which is now running on special procedures prescribed by NOTAM.) My guess would be equipment failure? Not so much equipment issues, more so the personnel to operate said equipment. Gross mismanagement of the transition of the Raglan Sector from CHC to AKL by Airways top brass more like it. Still short staffed? Ahh thanks for that @DavidJ08. The Mrs did mention that the pilot of her flight did announce some kind of “outage” and hence the flight taking a slight detour. Hmm interesting. From memory this is the first time I've observed it happening, but of course I guess I'm not a frequent enough traveller to notice it happening in the first place! This recent cockpit view of ZK-NEC landing at ROT came up after Moby 'Extreme Ways' live at the Fonda Theatre. Youtube knows me really well. Qantas is more likely to do that. I don’t think either is likely at all. AA however already operate AKL-LAX seasonally and with an approved JV with QF hopefully this would go year round and DFW could be considered. QF have bigger fish to fry so to speak than AKL-US with their own metal. Ditto for VA they don’t have the fleet and I wouldn’t think AKL-US would be of much interest, however A DL operated service if anything would be a lot more likely IMO probably to LAX, they are getting plenty of new long haul metal. I’ve no idea how seriously they have ever considered AKL. Air NZ A321-271NX ZK-NND (msn 8629) on delivery as NZ6093. It was expected to be in service by 13 Feb, so about 12 days late. NZ6093 (ZK-NND) has made a U-turn over eastern Turkey and appears to be returning to XFW. Looks like it's back on the ground in XFW. Skyliner Aviation now has ZK-NND departing XFW on Tue 19 Feb and arriving AKL on Fri 22 Feb. That's about the same time tropical cyclone 'Oma' is expected. It's been said elsewhere that the flight was denied permission to overfly Iran because the overflight fee had not been paid. Don't know if Air NZ makes these payments or if a third party is involved. Air NZ's ex SQ 77E ZK-OKJ has not flown since 28 Jan 2019, and this would not appear to be scheduled maintenance. Air NZ 789 ZK-NZG had a test flight yesterday and will be back in service today after being out since 17 Jan 2019. The two 789s still out of action are ZK-NZF since 28 May 2018 and ZK-NZJ since 29 Aug 2018. Talking about the issue of bussing passengers to Queenstown, I was at Dunedin airport last year when JQ diverted an A320 from ZQN due to high temperatures, and they had buses here within 90 minutes, even though its a 25 minute drive to the airport. I believe it was about 60 minutes after when they arrived. Really the airlines just call Travelliance (who provide essentially a turn-key disruption service); Travelliance in turn has a number of bus operators in each city they have deals with, so they ring around trying to see if they can get any transport to the destination city - if they can't or the airline's policy doesn't allow it (like NZ with the no after midnight arrivals by bus policy) then they will see if any providers can provide transport to accommodation and arrange said accommodation. The actual time it takes to get transport really comes down to luck - bus companies don't really have drivers standing by on the off chance a flight gets diverted (it's not that common - in winter there might be one a week, in summer weeks go by without a single diversion, or if the weather packs up there could be three in a day) and certainly the concept of "paid standby" hasn't really existed for bus drivers for years. So there's at least four variables - how soon the airline calls Travelliance (start of diversion vs just about to land in CHC), how soon Travelliance calls a bus company who has the vehicles and will try getting a driver, how soon said company can find a willing and able driver to do the job (which may involve shuffling the day and the next day's schedule extensively to make a driver available), and how soon said driver can get into the depot (either from home, or from another task). Conversely, on a particularly bad day, we've had a bus getting out to the airport 2 hours after the pax arrived, then having a mechanical issue in Cromwell of all places and getting to ZQN at 4am. Buses replacing airplanes? Anything can happen. Parked as a back up? There is a litttle more slack after the end of JAN, I noticed 789 NZE doing AKL/CHC-PER the other day. I’m not sure when the leases are up but I don’t recall seeing the leased frames in the schedule beyond the end of March. I’d imagine they will keep the frames around if needed. HKG goes back to a 77E from NS. And several reductions elsewhere for April May particularly. You are correct, I'll just add a couple of points... Travelliance who essentially negotiate rates for a variety is disruption services (Bus, Hotels, Taxis etc) use their size as buying power to pass on the savings to airlines while also clipping the ticket of course. This can obviously impact bus availability.